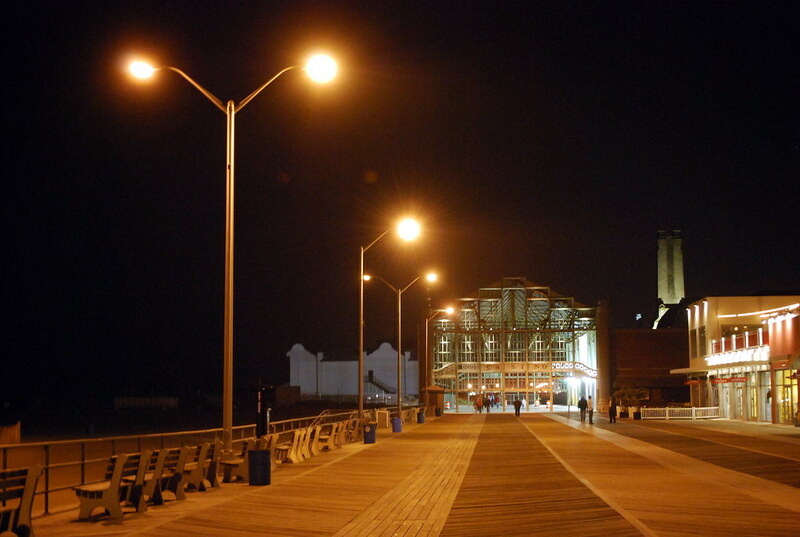 Parts of New Jersey on a dark and cloudy night can be kinda creepy but kinda cool at the same time - the Asbury Park Boardwalk is definitely one of 'em! After meeting up with Darci and her Dad near the outlet stores in Jackson yesterday afternoon, the girls and I continued on to Asbury Park - site of the 2009 New Jersey Zombie Walk which kicks lurches off at 11:00 a.m. today. The day was overcast to begin with and when we got the Jersey Shore, it was even cloudier and windy enough to be mistaken for Chicago! With the big beach season of the year being over, the place had that abandoned you-know-this-is-going-to-be-bad Stephen King novel kinda feel but at the same time, it was pretty intriguing - almost like I had somehow stepped back into the time of beach-goers past. 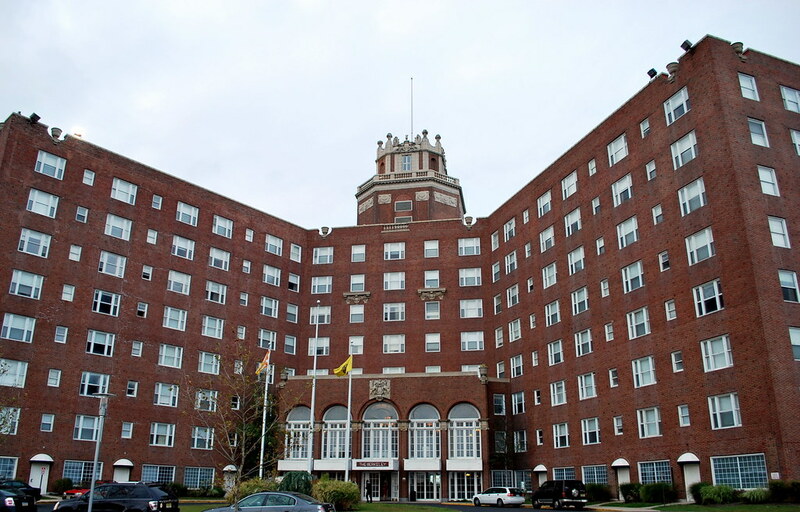 After checking into The Berkeley Hotel, one of the former grand hotels of Asbury Park, and tossing our stuff into what was a very nice room with a nice view of the ocean, the girls and I walked over to the boardwalk to check things out and find something to eat. There were a few other people out and about but for the most part, the place was almost a Ghost Town. Following dinner at Biggie's Clam Bar, the girls went back to the hotel and I took off down the darkened boardwalk by myself in search of a photographic opportunity or two. 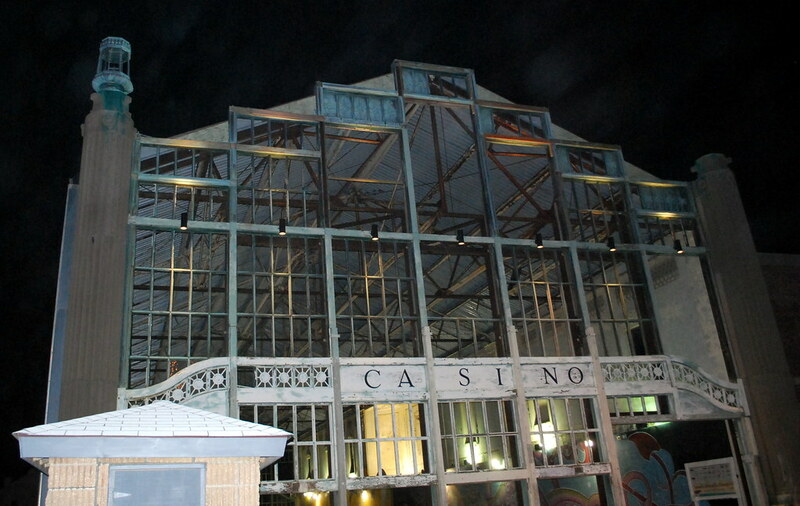 ... as well as the Carousel Building that no longer contains a carousel - last night it contained an AA meeting with quite a few attendees. It's there that the zombies will be gathering a little later today which seems to be more than appropriate! I'm not sure when I'll be able to get another full post up due to the long drive home tonight and a double-shift at work tomorrow but I'll try to post a picture or two via cell phone sometime today. After all, there should be a couple good photo ops here or there! Get ready for the zombies! I see what you mean by eerie and cool... not just plain eerie like someplace else we know...LOL! Eerie and cool? Yes they are! Very nice shots. Have fun!!! It really does have a creepy feeling to it. Look out, here come the zombies! The night photos are really interesting. 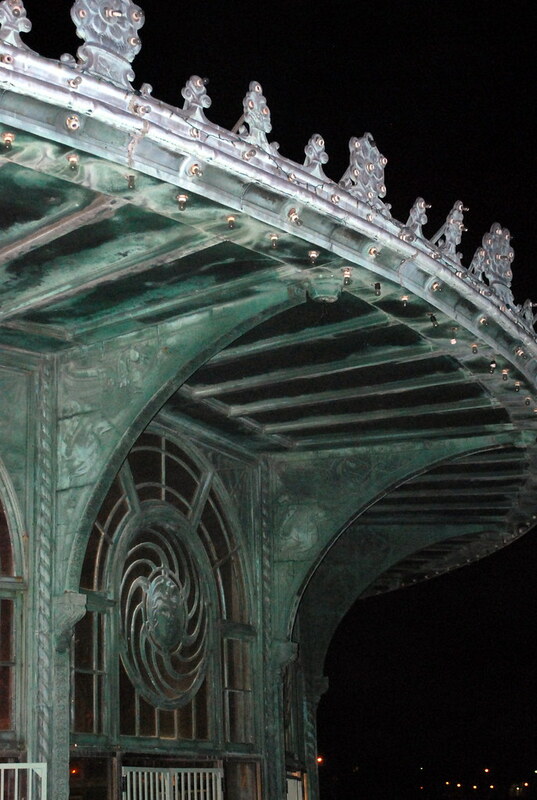 I especially like the one of the carousel building. That's some great teasing, Linda! I really love the circle "wheel" within the arched window...and the skeletal look of the old buildings. Anxious to see your next post! 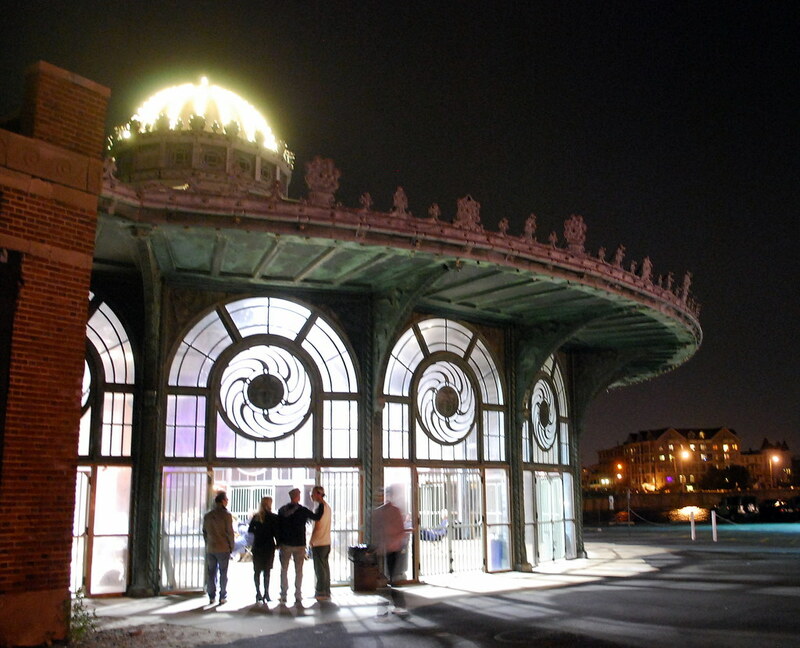 I love the carousel building...you DO get around, don't you?